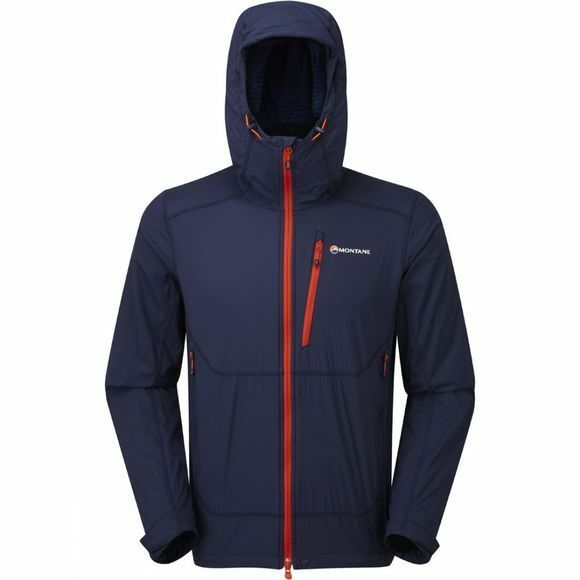 The Men's Alpine Equaliser Jacket from Montane is designed for alpine adventures with a stretchy, windproof, water and wind resistant softshell face fabric. 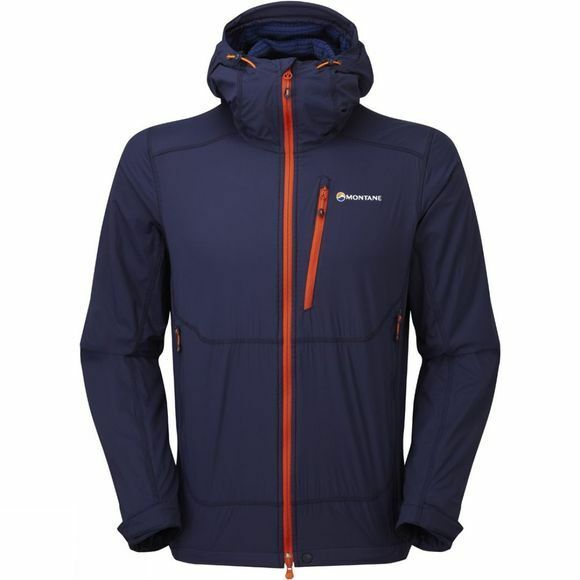 The Thermo Plexus lining provides a brushed microfleece inner which helps maintain warmth. The Equaliser comes with a full length two-way zip, two front zipped pockets, and a zipped chest pocket- all of which are YKK. The hem also adjusts, as do the hook-and-loop cuffs, however the jackets best feature is the hood. It is fully adjustable and has been sculpted for helmet compatibility, with three points of adjustment and a wired peak the stiffest of breezes will not move the hood from your head. A great choice if you are heading into the mountains and you're not expecting heavy rain.